The state constitution’s direct removal clause wasn’t meant as an easy alternative to impeachment, as Kane’s opponents today say. It was meant to provide a means of removing an office holder incapacitated by illness, not accused of a crime, or occasions not warranting impeachment. An obscure three-sentence clause in the Pennsylvania constitution has lately but improperly been suggested as a panacea for quickly removing Pennsylvania Attorney General Kathleen Kane from her elective office, without the mess and bother of a legislative impeachment, or a jury trial. Pennsylvania officials and their mouthpieces in the media these days are always looking for a quick fix requiring a minimum amount or work, little or no research, and just as little public scrutiny. So it should come as no surprise they’ve lately latched onto these 48 words like a vampire hunter grips a silver spike and garlic. The process described in the clause has variously been called a “direct removal,” or “direct address.” It is, on its face, different from an impeachment, which requires lengthy action by both houses of the legislature. “With Kane ineligible to practice (law), Gov. Wolf might work with the Senate to apply a never-used ’direct removal’ provision in the Constitution,” reporter Charles Thompson told Patriot-News readers on August 31. “State Attorney General Kathleen G. Kane’s legal jeopardy has put the spotlight on a never-used provision in the state Constitution for directly removing elected officials from office,” writes Robert Swift of the Scranton Times-Tribune. These reporters go on to say that lawyers in the state senate and the governor’s office were busy “researching” the process of a speedy direct removal of Kane. Trouble is, they’re all wrong. The “direct removal” process was tried before, and it was unsuccessful. And it was unsuccessful for reasons that directly bear on Kane’s case. That state lawyers and the reporters don’t know about the history of this constitutional failure speaks volumes. As I read suggestions that the direct removal process be applied against AG Kane, a few thoughts naturally crossed my mind. What exactly does this obscure sentence in the state constitution mean? What is this provision for? Has it been used before, and to what effect? What was the intent of the framers to include this in the constitution? To find out about all this, I had to do something newspaper reporters and government lawyers apparently are loath to do these days: I had to open a book and read some history. When the direct removal clause was only seventeen years old, in 1891, a Pennsylvania governor attempted to misuse it to remove two state row officers at a time of “political excitement.” Not much different than Kane’s case, it turns out. 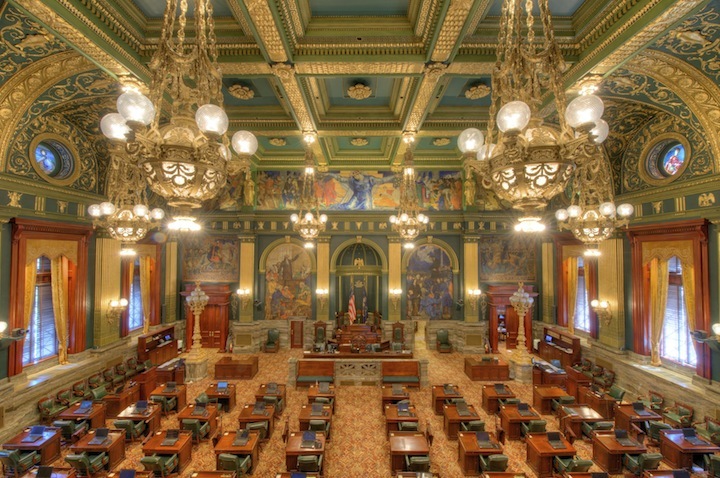 As recorded in the Proceedings of the Pennsylvania State Senate, Gov. 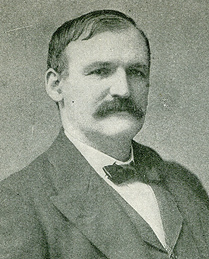 Robert Pattison convened an Extraordinary Session of the senate in October 1891, to remove from office state Treasurer Henry Boyer and Auditor General Thomas McCamant by the direct address provision. The problem then is the same as the problem now, should this “direct removal” clause be contemplated against Kane. 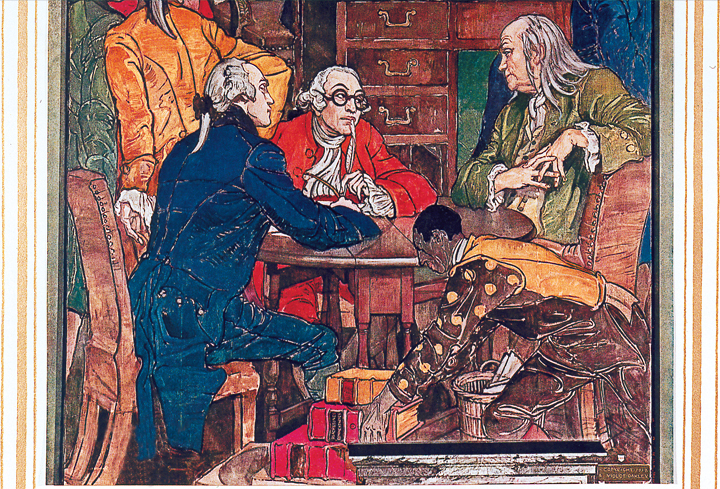 Two other clauses in the constitution directly address removal of state officials from their elective offices: the Impeachment Clause (Article VI Sections 4-6); and the first sentence of Section 7. Both of these sections contemplate conviction by a jury trial. So what happened in 1891, when the governor attempted to remove the state treasurer and auditor general by the direct removal clause, without a jury trial? Pretty much what would happen today. In 1891, both the state treasurer and auditor general took the stand in the senate and proclaimed voters had duly elected them. Both pointed out that neither had been convicted of a crime at trial. • That the governor “had no authority under the constitution and laws of this commonwealth” to seek his removal by means of direct address. Auditor General McCamant, moreover, like the treasurer, pointed out that he had a constitutional right, the same as all citizens, to a fair jury trial before guilt can be affixed. McCamant pointed out that an impeachment proceeding must begin in the state general assembly, not the senate, and so this was not a lawful impeachment trial. Simply put, the direct removal clause wasn’t meant as an easy alternative to impeachment, as Kane’s opponents today say. It was meant to provide a means of removing an office holder incapacitated by illness, and not accused of a crime, or an impeachable offense. By using the direct removal clause against Kane, her opponents would be recognizing that she has not committed an impeachable offense. In 1891, by a party vote of 28 yeas to 19 nays, the senate denied the governor’s request for removal of the state treasurer and auditor general by direct address. With Attorney General Kathleen Kane we’d likely see the same outcome to a direct address removal attempt today. I reached out for comments from spokesmen for Gov. Tom Wolf, and senate President Pro Tempore Joseph Scarnati. Both offices have been cited in the press as actively investigating whether Kane could be removed from office by the direct address provision. Neither official’s spokesman was immediately available for comment. An aide in Gov. Wolf’s press office conveyed her understanding that the proposed direct removal clause “had never been used” before in Pennsylvania history.